How to set up the video display/output options on Home Cinema System (HT-BD1252)? Refer to the information below to know the way to setting up the video display/output options. 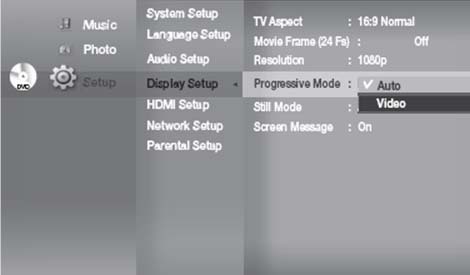 The Progressive Mode helps to improve picture quality when viewing 480i resolution DVD discs. 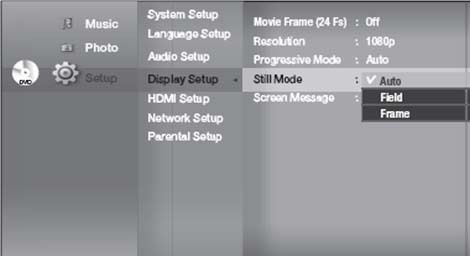 Set the Auto, Field or Frame setting for the best possible still picture (pause mode) from a DVD.